Enjoying his new “Safari Kids” Jeep created by the FPBA staff! The Tables for Tots event was held at Westfield UTC and successfully raised $71,299 for the Ronald McDonald House Charities in San Diego! Congratulations to our outstanding team for making this tot smile! FPBA Wins Award of Merit for New Website! 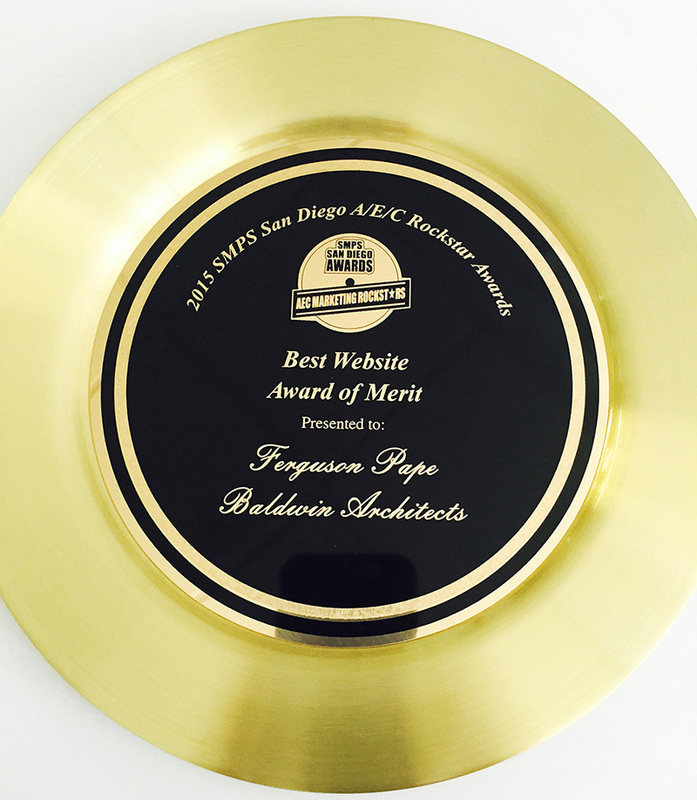 Congratulations to FPBA who designed a fabulous new website recognized with an Award of Merit from SMPS San Diego! We had a great time at the gala last evening at the San Diego Public Library enjoying the company and amazing views of Downtown. Table for Tot’s Fundraiser Kicks-off in San Diego!